First Stop: China 1934 – Mr. Pleshakov was born in China to Russian parents who had fled their home country during the Revolution. It was here that he was first exposed to sacred Russian music in the nearby Shanghai Cathedral, where he was a featured vocal soloist as a boy. Second Stop: Australia 1949 – When his family moved here, he studied piano at the New South Wales State Conservatorium of Music and within a year, he was making his debut, at 16, as a piano soloist with the Sydney Symphony. Third Stop: United States 1955 – His family moved once again; this time to the USA. This move allowed Mr. Pleshakov to experience some of that Bill-&-Ted-California lifestyle while earning degrees from University of California, Berkeley (B.S. in Piano Performance) and Stanford University (DMA in Musicology). 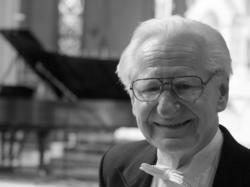 Fourth Stop: Europe 1999 – He and his wife, Elena (also an accomplished pianist), lived in Europe for 10 years and traveled the continent as recitalists, even making a few visits into Russia itself. Fifth Stop: New York 2012 – After surviving a bout with cancer, Mr. Pleshakov felt a divine calling to compose choral music. This was quite the feat as he had never composed music before. He said, “It was like a radio in [my] head which produced perfectly completed sacred choral music.” Just this past January, his works were premiered at Carnegie Hall in New York City! Next Stop: Phoenix 2012 – On May 5 & 6, 2012, the Phoenix Chorale will perform several of Vladimir Pleshakov’s works for the first time west of the Mississippi, in their final concerts of the season, “Modern Russia”. Mr. Pleshakov will be at each of the concerts and be featured at our Saturday evening KBAQ 89.5 FM Pre-Concert Talk at Trinity Cathedral. Other composers featured in the concerts include Stravinsky, Sviridov, Glinka, and more. 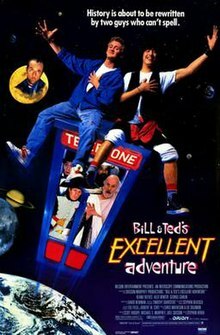 If that’s not a most excellent adventure, I don’t know what is! Tickets for these concerts are available by calling (602)253-2224 or at www.phoenixchorale.org/tickets.